Hello! 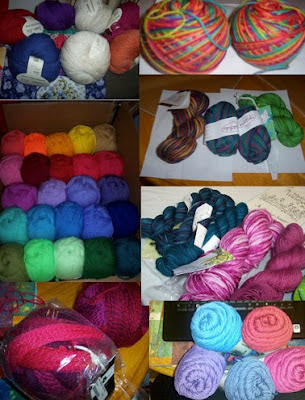 It's Knit and Crochet Blog Week 2012! This week will feature topics related to knitting and crochet from various bloggers around the world. As I looked over my stash I realized that I really like all of the colors. 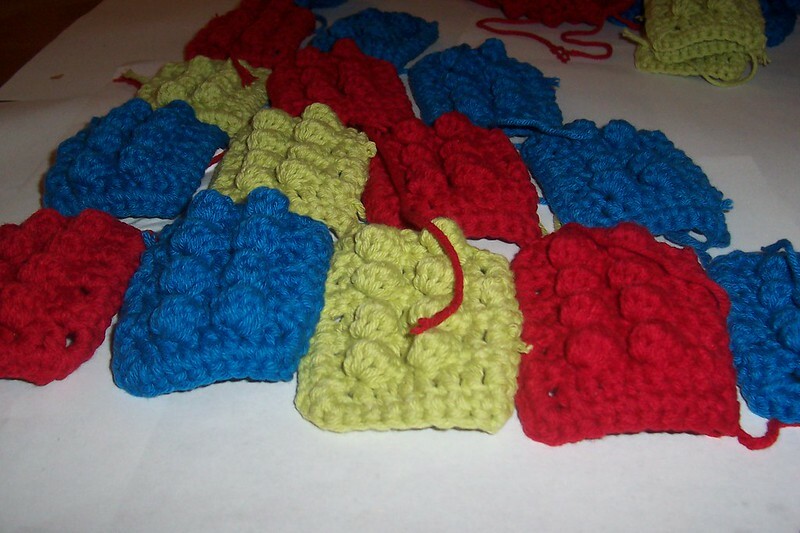 I love using bright primary colors for baby blankets! 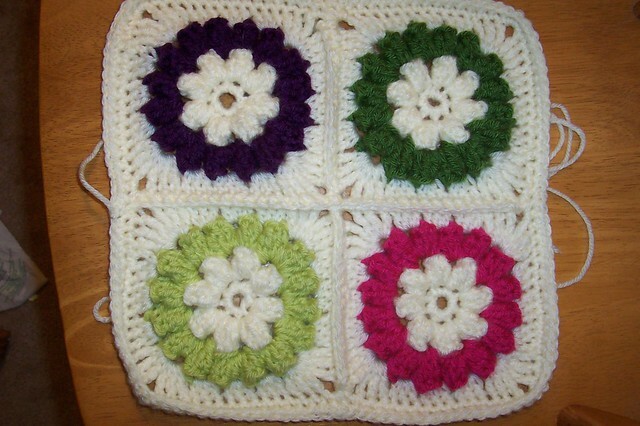 I love crocheting blanket squares in as many colors as possible! I love buying yarn in so many colors it makes my head spin! Look at all of the pretty colors! While, I have only been knitting and crocheting for about 4 years, I have noticed some trends in my yarn purchases. I tend to buy saturated colors. No pastels for me. I don't look good in pastels so why make something that I can never wear? 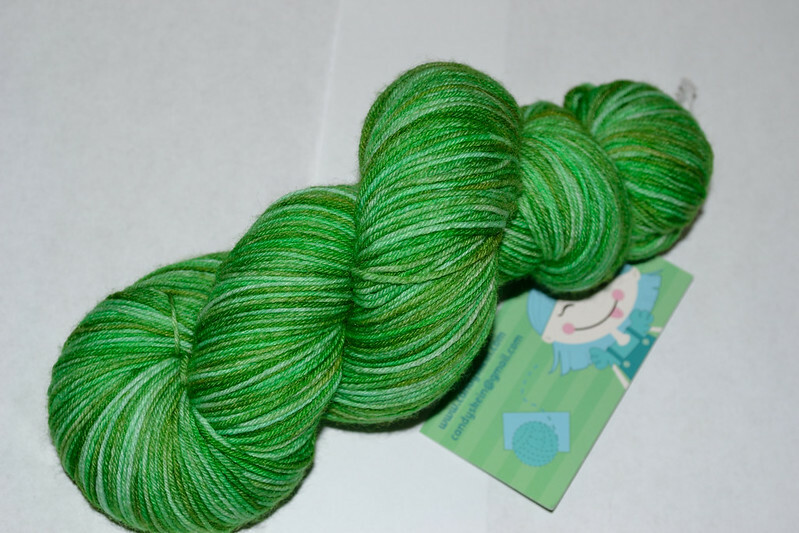 I also noticed that I do buy a lot of green yarn. Green is my favorite color, so why should't I buy my favorite color. But I also love Orange! 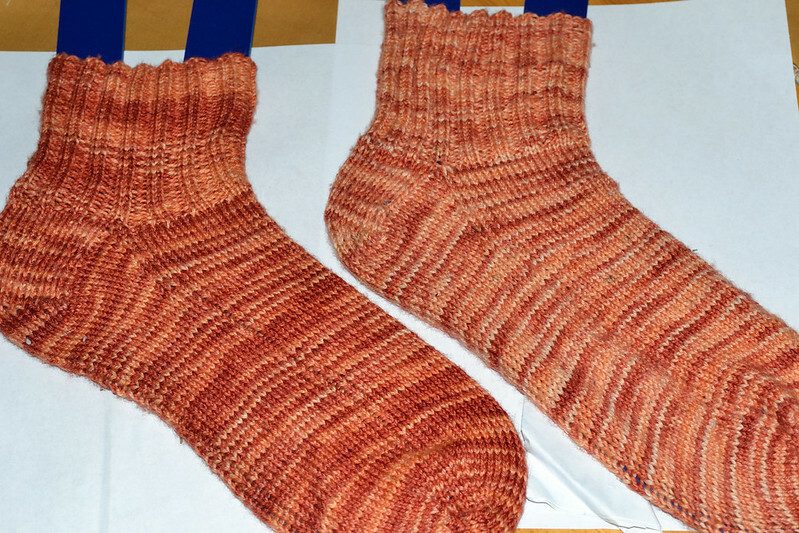 I made my first socks in a lovely peachy orange yarn that was great to work with and the socks are so comfy. Don't these look like a sunset? So what does it all mean? Why do I like color so much? I think it's because there is color everywhere. I remember in art class our teacher telling us that the clouds are not white, in fact they are everything but white. At that moment I really started to look at colors in a new way. I notice the undertones, the highlights and the shades that make every color unique, that is why I like color so much. Yes, I may like bright and saturated colors but really I am just trying to capture a bit of the world around me and bring it inside when I knit or crochet. Who doesn't love a rainbow? Or a field of flowers? Or bright blue skies? Or breathtaking sunsets? So I use what I love and I love colors that make me happy. Because there can always be a little more happiness in the world! Please visit eskimimi makes for more information about the blog week or search 3KCBWDAY1 for other great posts! I love what your art teacher told you about clouds. So often we get in a one-dimensional color world and forget about all the variety. 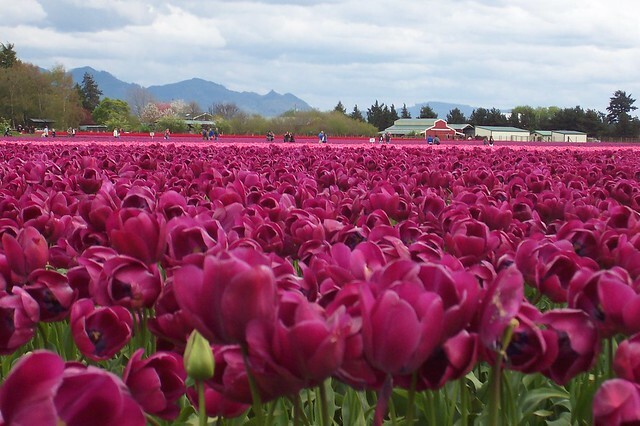 I can't wait to see what that tulip photo inspires! We had a little art project that went with it where we had to paint a winter scene and it really did make a difference when you mixed red, blue, yellow and black with the white and made the sky and snow. I am into photography now and I really do look at the sky and the landscape and you just see the colors beneath the main color. I do plan on making socks with it, I think I have the Devil's Snare socks planned for the yarn. Shawls aren't really my thing as I hate wearing stuff around my neck. I love saturated colors, too, and find them hard to resist whenever I visit my LYS! I like the lego blanket. Great design to use! What an interesting tidbit about clouds. I need to remember that and be more open about them. Me too; I'm so not a pastel person.